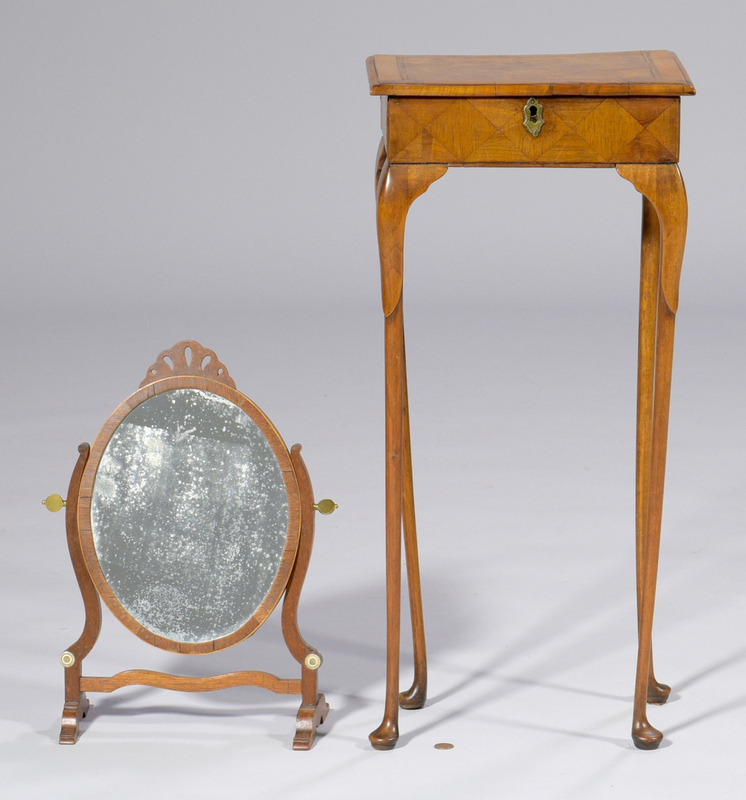 Diminutive Continental parquetry table and Hepplewhite shaving mirror. 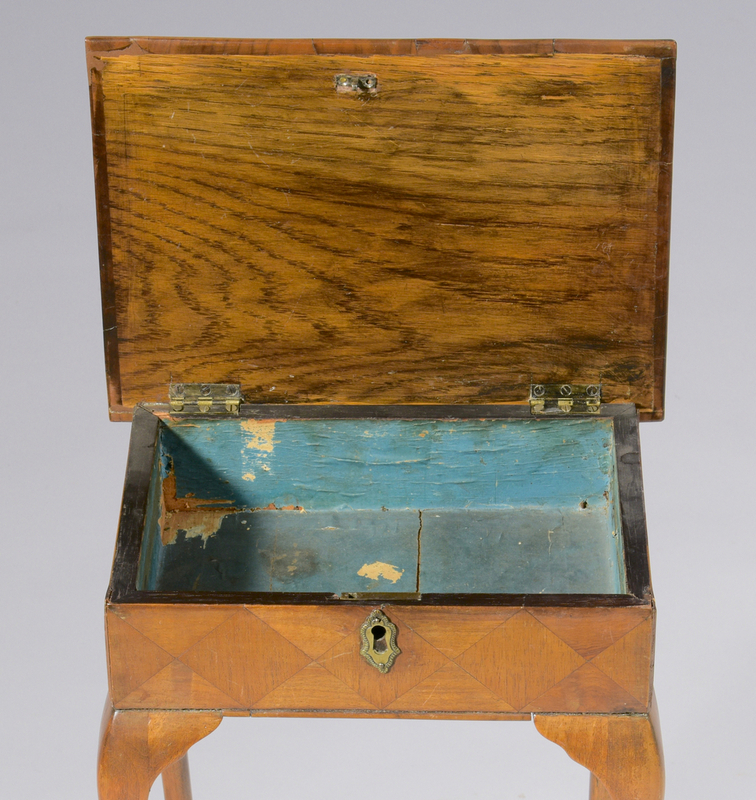 1st item: Petite work table or dressing box on stand with satinwood inlaid bands on lid, and inlaid geometric pattern to body, hinged top opens to interior lined with green paper. 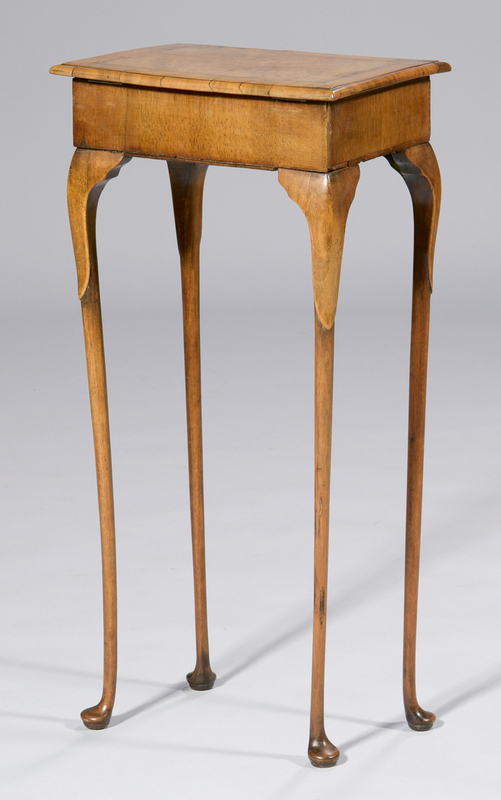 Four tall, slender, cabriole legs on pad feet. 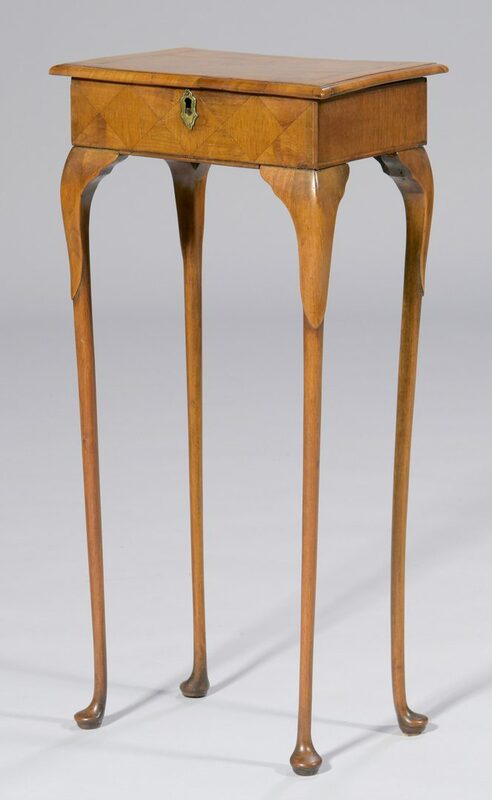 26 1/4" H x 12 1/4" W x 8 3/4" D. Continental, 19th century. 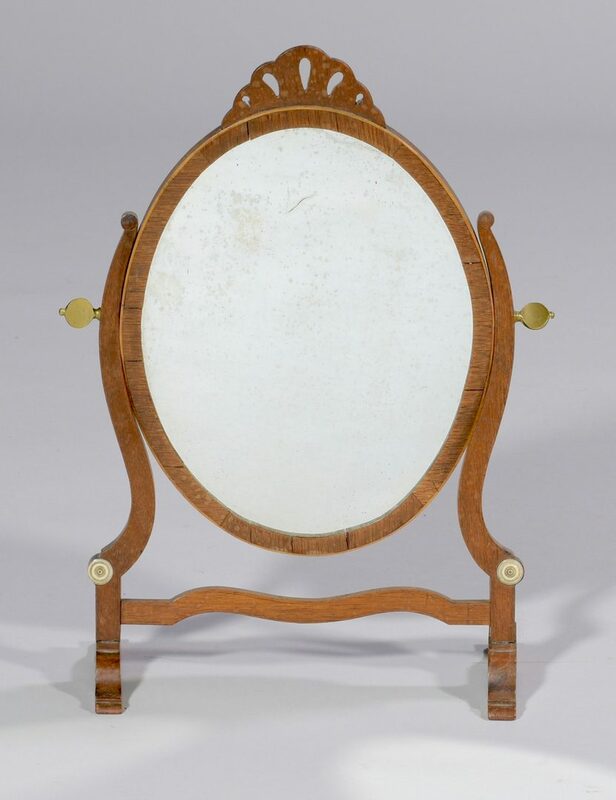 2nd item: Hepplewhite oval mahogany shaving or toilet mirror with line inlaid frame, on trestle stand with pierced carved top. 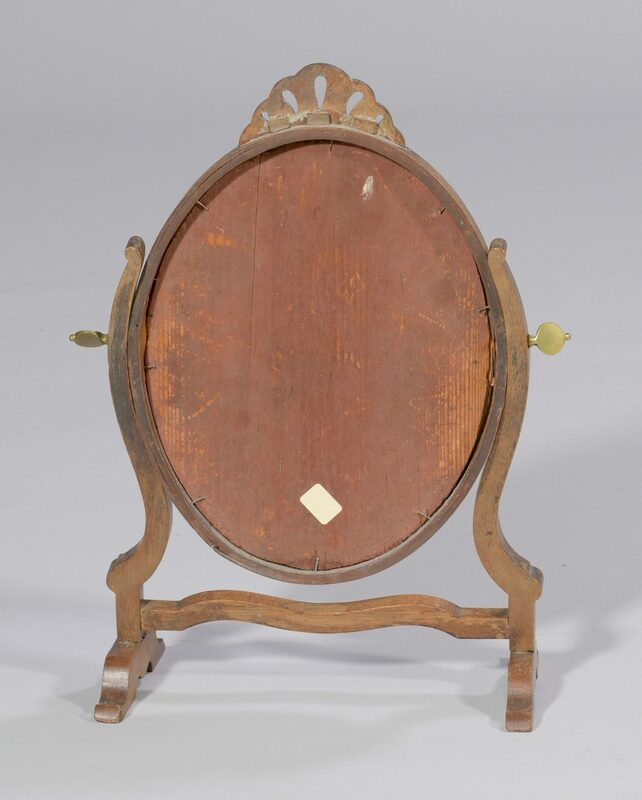 15 3/8" H x 11 1/2" W. English or Continental, early 19th century. 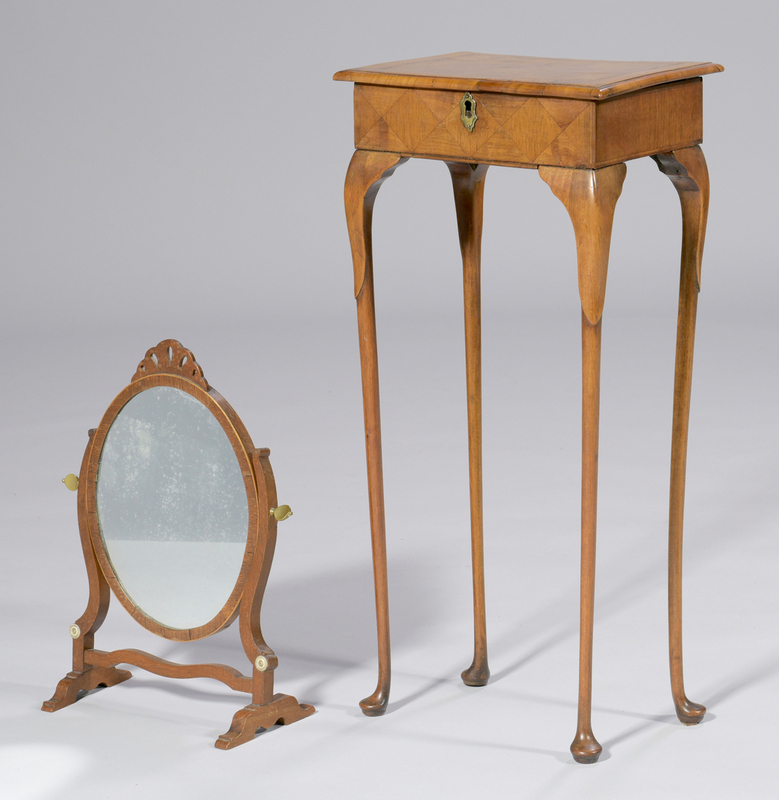 Provenance: Estate of James J. Allen, Knoxville, TN. CONDITION: 1st item: Hinges on back loose, back of lock hardware separated from furniture. Cracks and slight buckling of wood on surface of lid, green paper liner worn, legs slightly warped. 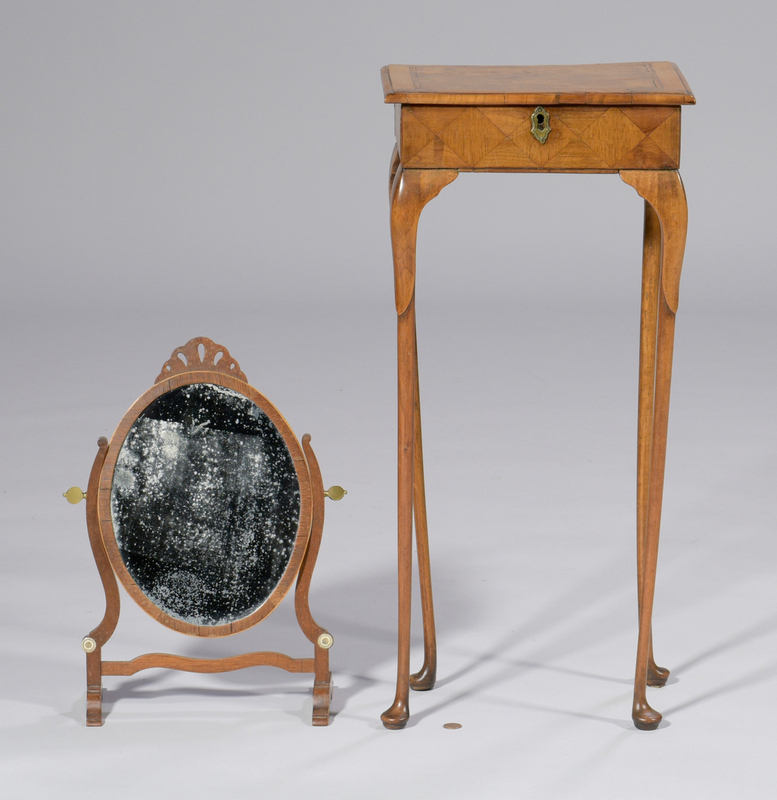 2nd item: Some silvering defoliation to mirror, age cracks to mirror frame wood and some spotting.